I’m posting ‘Sometimes I Wish’ as part of Blog-Tag, You’re It! – 28 bloggers across several countries are participating in it. It’s a great opportunity to get to know fellow bloggers on a more personal level! This tag has been passed on to me by Casey B who writes on the unusual topic of Nagivating Cyber Loss. Please read her post here. This morning I was getting my daily fix of the news and I see Piers Morgan interviewing Joel Osteen and his wife, Victoria. They carefully dodged Piers’ questions on politics and just about anything that required a firm opinion. I find it hard to believe they’re real. They were just trying too hard to be correct. Now they may be really nice people, but they came across as insincere to me when they refused to have an opinion or at least voice it. However, this post is not about the Osteens at all. This is about me wishing that we could all state exactly what we feel about things. Sometimes I wish we could all be like children and say exactly what’s on our minds. I remember my, then 4 year old, cousin coming across a man of restricted growth and asking very loudly: “Who sharpened him?” Now anyone who has been a child and has sharpened a pencil over and over knows what he meant. He was a child, so he got away with expressing exactly what was on his mind! At times, we have to filter what we write for fear that someone will take offence. We don’t want someone to think that we are writing about them. We have to be careful in our dealings with people because our words might hurt them. We try to be careful with what we share on Facebook and Twitter for fear that our ‘image’ will be affected. We have to be politically correct and use exactly the right phrase or else someone, somewhere will be offended. Sometimes I wish we didn’t have to filter and choose our words for fear that they might offend someone else. Sometimes I wish no one took offence to anything anyone else said. Sometimes I wish we could all be like Maxine! 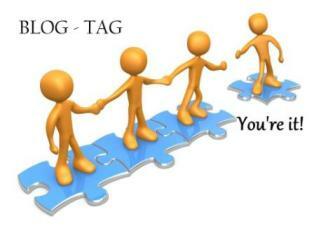 I’m passing on the Blog Tag – You’re It! to my dear friend Irene Cortez of the Philippines who writes Inspiration From The Little Things. It has been my pleasure to get to know her over the last two years and to see her bloom in loveliness and creativity. Please visit her blog where she’ll soon be sharing her wishes too. What do you wish for sometimes? For far too many years, I was so many different people and I tailored my responses to whatever the person I was interacting with seemed to expect of me … NO MORE ! Now, I am just me … and many have not liked that change. However, as I examine my life now, in 2012, I see that the ones who didn’t like the new me left … and new people stepped in. These new people are those who also share their minds and hearts. My life is now much happier … due, mainly, to my new ‘open book’. Thank you for showing me that I am on the right track. Ah yes! Filters. I have recently been more open about a few things on Twitter and FB (my political views to be exact) and I am now wondering if they have cost me certain opportunities. It is what it is if they did but, it’s in the same vein that you are speaking here. I don’t know so much about having a filter, I just wish that people would actually understand what you were saying. As wordy as we are, don’t you hate it when people get something completely different from what you have said or written? I wish that we could understand what we mean instead of what we say ;-). What you are wishing for Corinne is so true! People are so quickly offended and we have to walk on egg shells. A friend of mine`s husband has an illiness (for the life of me I cannot remember what it is called) but he has no filter. He speaks his mind and often offends people. Life is not easy for him because society pushes him away. How sad is that? Thank you for sharing. I enjoyed reading this! You really got me thinking with this post. I wish that the only filters we ever needed to have were to spare the feelings of people we care about. The value of what we want to say, gets watered down and reduced to something so much less, when filtered over and again in order to people please and fit the mold. Thank you for a great post! Hey Corinne, it’s good to hear someone be so open about this subject. I too wish, we could be honest and not have to worry about being as you put it “politically correct.” Free speech is a gift that people in other countries cannot even imagine having and it so has it’s pluses and minuses. Supposedly we are hearing honesty when we read our newspapers, tune in to our favorite news channel or look at Yahoo etc. online. It is very difficult to separate what is fact and what is opinion, which can be dangerous when so many just take what they hear and go with it. This is where I think free speech and honesty go too far. Children, so innocent, call the kettle black and we laughingly dismiss it, because they are little and don’t know better. My son, was extreme that way, and although he didn’t mean to call the lady at the playground fat because he was informed that she indeed wasn’t about to have a baby, she still had hurt feelings. So yes, part of it is being careful about treading on someone’s toes. What I hate so much is when it becomes about “people pleasing” to the point that what we state somehow loses it’s meaning in the face of trying to win approval. For me, I care about what the people I am very close to think, but they also know that I will not try to be someone I am not. As for others, I always try to respect others ( as I would want them to do with me), but if you don’t like me, you can always turn around and walk the other way. If you ask me, I am going to be honest or not speak, but I also try to look at the person I am answering. I try to be sensitive to other people’s feelings. I am far from perfect, and being a Northerner in the deep South am told on many occasions that I am “very direct”, but I have learned so much from other people and how what they hear can affect them, that I want to always keep that in mind. Does that make sense? I think we learn to have filters for a reason, but sometimes filtering for the wrong reasons, can diminish the value of what we are saying by the way we say it. I hope I got that our right, I am still on a lot of cold meds. Thanks for the thought provoking post, a little wordy today, but you sure made me think! Blessings, Kim. Ooh, very nice topic. I do wish political correctness or whatever never existed. Really, it just makes already complex things – human conversations – seem even more complicated. So, yes, I echo your wish, absolutely. Thumbs up! There is a price to pay for being very correct like Osteens, as is evident by your post, and there is a hell to pay for being like your cousin, assuming he were an adult and the very fact of someone being ‘sharpened’ affected him. Without raking up dust on the sordidness of the business, I just wish to say its better to put the whole to rest by calling a spade a spade rather than smouldering quietly -it buys you long term peace. Congratulations for earning that tag. I am sure you would have passed it to a deserving blogger. Corinne ! what you say is true, there have been so many times, I have written something and not posted. For the fear of being judged or misunderstood – and then I am so busy waiting to perfect what i have written, that i have not posted at all. Then i think of something better to post, something to inspire or be grateful for …. …. its nice to be like children, to just speak our minds out. But then we are so conditioned by our experiences, we even start teaching our children not to be so outspoken, for it may hurt others – good post, make me think and thanks for sharing ! Oh, yes, dear Corinne. I hear you. We are so used to saying what is right and politically correct that we have forgotten what we really think. And, your wish is mine as well. They say that friendship is a place where we don’t need to filter out the things we really wanted to say because our friends are the people who would understand us and even forgive us if we say anything that seem offensive. However, even in our close relationships, we do filter what we say because they are the last people we’d want to get hurt or offended. Someday, maybe when our hearts and words would finally be equal to our best intentions, we don’t need to filter out anything anymore because the only words we’d utter are words of love. God bless, Corinne! Corinne – LOVE the post, and you are so right. I agree that we should be free (feel free) to speak our minds and not be “pre-cautious” about whom it mind offend. In today’s world unfortunately that seems near impossible. I did chuckle at the reference to Joel and his “correctness”. We have seen smaller religious dynasties fall for lesser reasons after all :). For myself, even and especially when I am upset or angered, I labor to be succinct without being pointed or argumentative. I always try to approach things with an opinion I hold dear, but hold no one else to…if that makes sense. I will add, I don’t always succeed ;). I suppose I choose my words carefully because I genuine don’t want to hurt another, but I am also fully prepared to make my point and stick my ground…and odd balance. Great post! I wish too Corinne! We are afraid to say what is in our mind not only for not wanting to hurt someone but also we are worried what people will say about us. Those who have no fear of speaking their mind are always misunderstood. I wish people would not be so touchy and turn everything personal. Factually and unfortunately,the word is getting more and more intolerant.Reasons could be political,professional but,I find most of us getting intolerant on religious issues. I wish that it was possible for us all to be less self centred and not always think of ourselves. There are so many people in this world who in difficult conditions. I also wish that it was easier to actually say what is in our heart, to our loved ones. Whether we are happy or are feeling hurt , it is difficult for us to say those things as we grow older. Children do have a way with words that sometimes puts us to shame. What a luxury they have and which I’m wishing we also had. I wish that too. Being PC all the time makes me very weary. Maxine rocks! I do wish for that, too, Corinne. I also wish that people would listen more to one another and learn to respect one another’s opinions, instead of thinking that only his/her own opinion is right. It doesn’t mean that people would always agree with one another, but more of respecting one another’s differences. I guess this is one of the reasons why I (we?) blog. I have more freedom to express what it is in my mind in my blog instead of in real life. Such a beautiful wish Corinne – you know I always asked people around me as a child that when we say I have the freedom of expression why cannot I just say what I want to… then why are we called a democratic country? This fear of offending someone, with your views and expressions is a very heavy weight bearing on all of our minds in everything we do – from talking to writing! How very right you are. Sometimes we are so very worried about even the slightest opinion being taken the wrong way we are simply “Osteen Polite” and while there is nothing wrong with that it was the way I felt today when Chick- Fil-A dropped some of those its supports due to their affiliations. Seriously, Think, Take a Stand and Commit whatever the cost. Maybe people will lose a few friends who won’t matter in the long run if they can’t understand honest transparency and the ability to say what you believe. It’s still a freedom of speech country…maybe?! This IS so very true and we wonder WHY no one is communicating, properly??? It’s like everyone is speaking in parables and we have to try to figure out the meaning, behind it all. It becomes EXHAUSTING and people TUNE out. Children are FREE and have such a unique way of expressing themselves, without any fear or holding anything back. Some thing so SPECIAL, that we all seem to lose, the older we get. Thank you for sharing this. I think in some cases, it’s not worth your time and energy to ‘speak your mind ‘ Not that you are afraid of what people would think about you, or who would get hurt. Maybe just that you don’t care about what’s being said or what people want to hear from you. I don’t think about it that way, C. I write what I want to write, and if someone takes offense at my words or as frequently happens, reads way too much into them, it’s nothing I spend time worrying about. I’m not going to change what I write for the random person I might offend. When I decided to be a writer I struggled with my voice. Professors told me to temper my passion, be less. I tried but my writing was flat on the page. I struggled with voice when I started to blog. I was conceded about what readers liked and would they understand, etc. and so on. Somewhere in the discovery phase I realized I had to be me, both in non blog writing, my essays, and my fiction. Be who you are and say what you mean. If you can’t be truthful, then smile and walk away, but don’t’ compromise. Have I babbled enough? I FRIGGIN love everything you just said!!!! Forever and Ever Amen. I think at times some people are more concerned with being right or liked than being open minded and free to speak FREELY. Instead some are more concerned about appealing to the masses. Me personally, I bite my tongue and avoid discussing, although sometimes, I allow myself to get seduced into speaking my mind on the subject of politics because quite frankly I believe it is futile… take for example the Romney recording that was played; I listened to it and I think people are being extreme…I personally wasn’t offended by what the man said. U know Corinne, sometimes or many a time, we wish for so many things, and the worst that we do is to wish the same thing again, hoping that things will be different this time over. Being sensitive is okay but being touchy?- nope! I agree, Portia. Thanks for stopping by! Speaking our mind with honest words tends to decrease in most, with age…until you get to a certain point in life that how one looks at you because of what you say is no longer an issue in your life. To have the freedom of a child throughout life would probably be much better, although you would also need to teach people to not wear comments on their sleeve. We tend to take things to heart too much; we assume things said are automatically negative and are directed to ourselves personally when in fact, they may not have anything to do with us. It is possible to say what you mean with tact, but one shouldn’t have to feel they are walking on ‘egg shells’ when speaking. Its always on my mind, not to hurt others’ feelings. There are polite ways of saying what we want to say, but they always do not work. Many a times, I feel frustrated or am branded as being rude. But in maintaining camaraderie and peace we have to swallow our opinion, grin and bear it all. I know what you mean, Janu. If you do (say) you’re damned and if you don’t, you find it hard to live with yourself! Well, I guess it’s because we think ‘too much’ ~ of ‘ourselves’ more than ‘others’. Thanks for reminder about the gnats, Melissa. I can see how that’s relevant here! Oh…there is always so – so much one wishes for Corinne – but they never do come true – isn’t it? Just as the proverb goes ~ “If wishes were horses, beggars would ride” – I do believe in taking action more than wishing for things to happen and simply waiting. But yes, we do all have our wishes, most of which remain unfulfilled and often we keep wishing that they happen. Because I write a Christian devotional blog which has many followers, I must admit I am careful about what I say on Facebook and how I say it. Before reposting something or leaving a comment, I’m always asking myself, “What would Jesus do? (say, think . . .)” I don’t think this is a bad thing as it has really focused me in my spiritual walk and prevented me from stating things I might later regret. On the flip side, I am very clear with others about my Christian beliefs and declare them boldly, not ashamed or reluctant at all to state my case in these instances. For me, that is a good thing! Great post, Corinne, and one which, once again, really makes us all do some deep thinking. Wondering what Jesus would do/say is a good question to ask ourselves. I wonder whether Jesus thought about the impact of His words before He said them, Martha.I believe that they just flowed from deep within His being. I try to be as sensitive of others as is possible too, Martha. However, I do know something I say might offend someone, somewhere. I’m learning not to overthink what I say too. I am against not saying something because someone else will be hurt. But, I am against using profanity or rudeness for effect. I feel a point of view can be conveyed fearlessly in a decent manner as well. And, I am all for discussion with different opinions but again done in a civil manner. Oh I know that you really speak your mind, Rachna. I agree that profanity and rudeness doesn’t help in discussion at all! You know me so well, Corinne! I am a loud mouth alright! I really wish I could speak my mind but the truth is that you can not do that today…if anyone disagrees these days they simply can not be an adult or have one ounce of respect…it disgusts me. This is what I go by…Agree to disagree. That’s so true. Don’t you think everyone is so quick to be offended? Agree to disagree is a good way to co-exist! How I wish that too. Ahh…the age of innocence. We are far more sensitive, opinionated and intolerant. Intolerance is increasing around the world for sure. Isn’t that so sad? I echo your wish! We definitely want to be discerning…sometimes children can be a little too honest at least in their delivery of the truth but it would be nice to feel open to just sharing openly and honestly thoughts without always fearing people will get offended. It seems like society gets more and more sensitive! I think they can only be called ‘too honest’ to the extent that other people take offence, Jessica. Our over-sensitivity is the cause of so many problems around the world, I believe.